Christopher Boone is fifteen and has Asperger’s Syndrome. He knows a great deal about maths and very little about human beings. He loves lists, patterns and the truth. 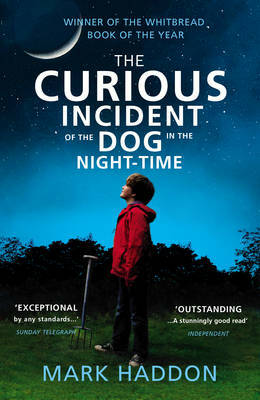 He has never gone further than the end of the road on his own, but when he finds a neighbour’s dog murdered he sets out on a journey which will turn his whole world upside down. I loved this book because it was written in a completely unique style which really helped to understand the main character of the book. Christopher’s intelligence and curiosity is very charming throughout and really gives an insight into his condition. The variety of different characters introduced throughout this book felt so realistic and just like people you’d meet on the streets in your own life. This book is filled with shocking little twists and really kept me interested in the way the story unfolded. This story really helps to understand the different emotions this boy experiences on a daily basis in situations which may appear ordinary to others but hugely impactful for him. I found this book really heart-warming and would suggest it to anyone as it’s such an easy and gripping read. In conclusion I would rate this book a solid 10 for its originality and success in keeping the reader involved. I would recommend this book to young adults and upwards and to anyone with an interest in light-hearted mysteries. Amazing insight into what it’s like for people with autistic spectrum disorders.